Lives now: in Toronto, Canada with my family: husband/soulmate – singer/songwriter/author/cartoonist Kyp Harness http://kypharness.net/ (married 1995), our two children, Ava and Clay, and animal family. 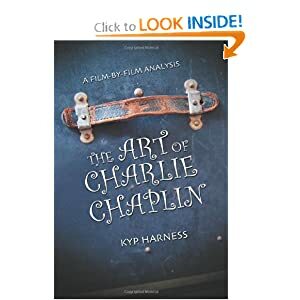 (Please scroll down to the bottom to see links to Kyp Harness’ music, fictional books, comic strip, and Laurel & Hardy and Charlie Chaplin books). Sculpting in clay for 23 years. My mentor/teacher was Elizabeth Fraser Williamson who passed away over a decade ago at the age of 87. My primary focus is sculpting people’s faces. 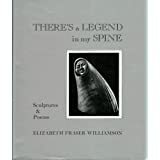 (Please scroll down to the bottom to see links to Elizabeth Fraser Williamson’s poetry/sculpture book and two documentaries about her). Writers/poets/philosophers/musicians/artists/people who have inspired me: Rainer Maria Rilke, Dostoyevsky, Kierkegaard, Dylan Thomas, Theodore Roethke, Sylvia Plath, James Baldwin, Elizabeth Barrett Browning, Thomas Hardy, Kyp Harness, Van Morrison, Pablo Neruda, Nietzsche, Mozart’s The Requim, Yoko Ono, Rodin, Taylor Jane Green, Van Gough, Elizabeth Fraser Williamson, Joni Mitchell, Jane Goodall, Edna St. Vincent Millay, Bela Bartok, Kate Bush. 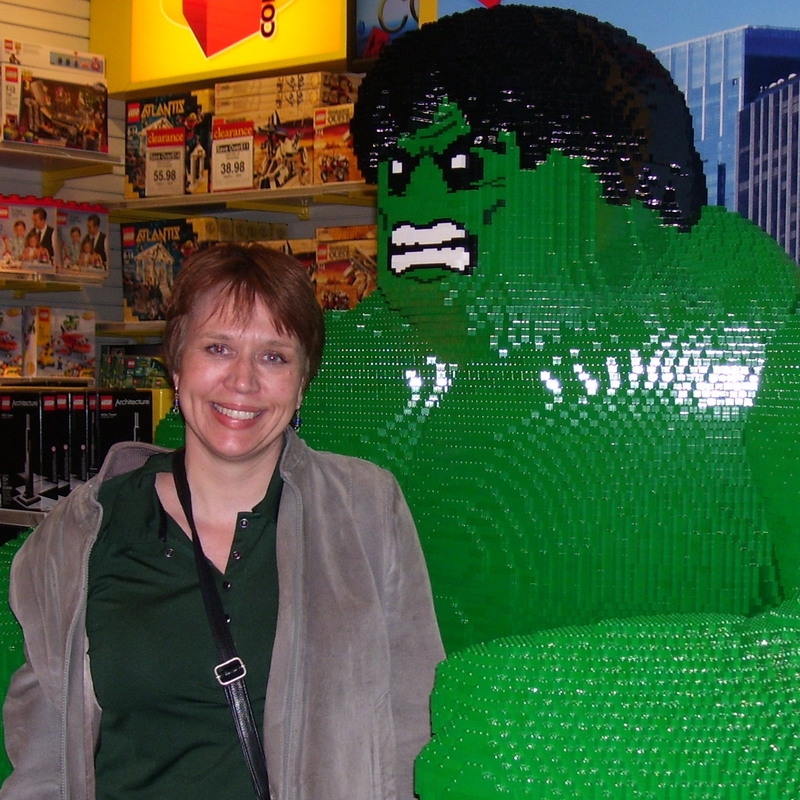 I took a 15 year hiatus from the poetry publishing world in order to raise my children. My nine books, two collections and chapbook all published in 2012 are the result of the writing I continued to do during that time. I am a full member of the League of Canadian Poets. I have been nominated five times for Sundress Publications “Best of the Net” 2015/2017/2018. In 2018, my book Sight at Zero, was listed #34 on CBC’s “Your Ultimate Canadian Poetry List”. Collaborating with Allison Grayhurst on the lyrics, Vancouver-based singer/songwriter/musician Diane Barbarash has transformed eight of my poems into songs, creating a full album. 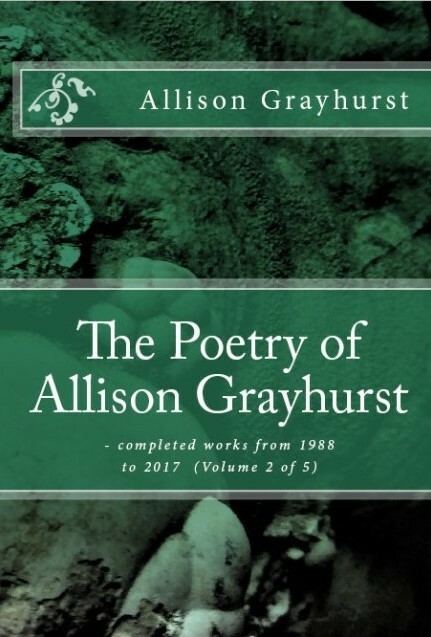 “River – Songs from the poetry of Allison Grayhurst”, released October 2017. More than 1200 of my poems have been published in over 475 international literary magazines, journals and anthologies in Canada, United States, England, India, Ireland, China, Scotland, Wales, Austria, Romania, New Zealand, Zambia, Bangladesh, Colombia and Australia. Many of my published poems are on this website. Some of places my work has appeared in include Parabola (Alone & Together print issue summer 2012); SUFI Journal (Featured Poet in Issue #95, Sacred Space); Elephant Journal; Literary Orphans; Blue Fifth Review; The American Aesthetic, Agave Magazine; JuxtaProse Literary Magazine, South Florida Arts Journal; Gris-Gris; New Binary Press Anthology; The Brooklyn Voice; Straylight Literary Magazine; The Milo Review; Foliate Oak Literary Magazine; The Antigonish Review; Dalhousie Review; The New Quarterly; Wascana Review; Poetry Nottingham International; The Cape Rock; Ayris; Journal of Contemporary Anglo-Scandinavian Poetry; The Toronto Quarterly; Fogged Clarity, Existere; Boston Poetry Magazine; Decanto; White Wall Review. My book Somewhere Falling was published by Beach Holme Publishers, a Porcepic Book, in Vancouver in 1995. Since then, fifteen other books of my poetry and five collections have been published with Edge Unlimited Publishing. 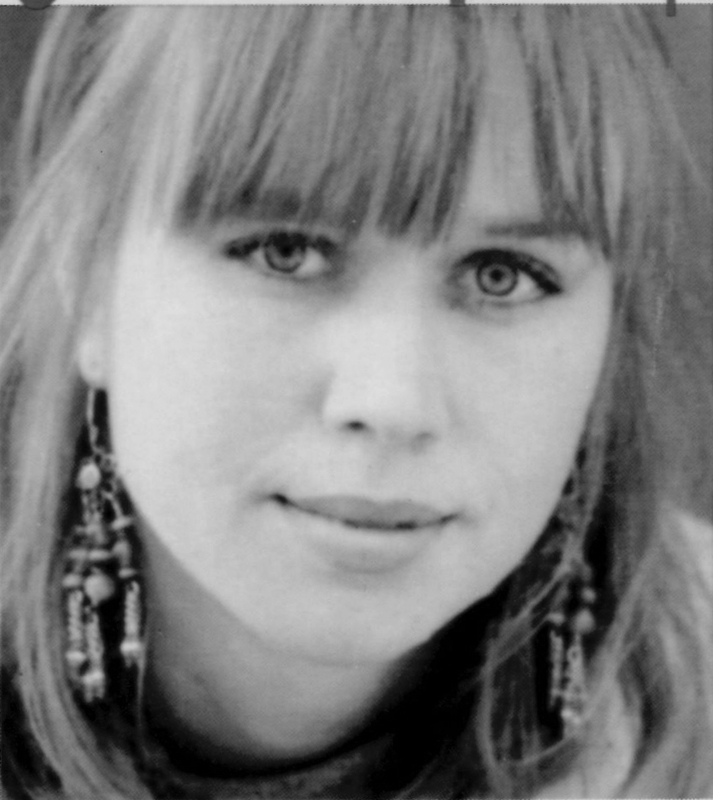 Prior to the publication of Somewhere Falling I had a poetry book published, Common Dream, and four chapbooks published by The Plowman, under the pseudonym Jocelyn Kain. 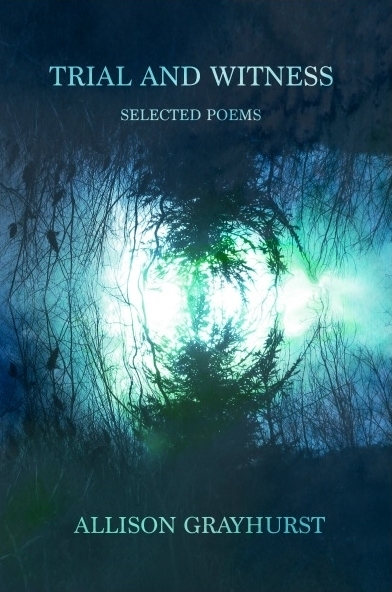 My poetry chapbook The River is Blind was published by Ottawa publisher above/ground press December 2012. In 2014 my chapbook Surrogate Dharma was published by Kind of a Hurricane Press, Barometric Pressures Author Series. In 2015 my book No Raft – No Ocean was published by Scars Publications. My book Make the Wind was published in 2016 by Scars Publications. My book Trial and Witness – selected poems, was published in 2016 with Creative Talents Unleashed (CTU Publishing Group). 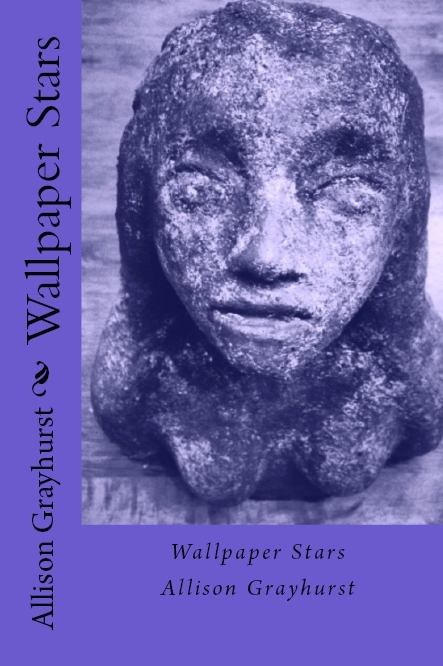 My three books entitled Wallpaper Stars and Walkways and Fire and more, were published in 2013, 2014, and 2016 respectively. As well, I put out two other collections in 2013. As My Blindness Burns – three long poems, was published in 2014. My collection Our Children are Orchards – collected poems about animals, children and pregnancy was published in 2015. 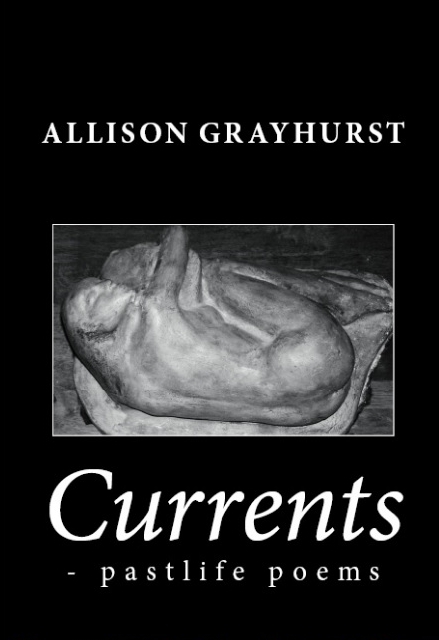 My collection Current – pastlife poems was published in 2016. My most recent book of new poems The Fault of Sages was published in 2017. Sight at Zero – selected poems (1988 to 2017) was published in 2017. 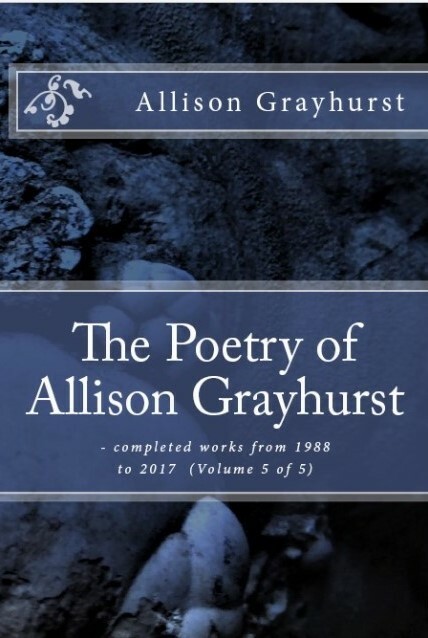 The Poetry of Allison Grayhurst – completed works from 1988 to 2017 (Volume 1 of 5), (Volume 2 of 5), (Volume 3 of 5), (Volume 4 of 5), and (Volume 5 of 5) were all published in 2017. 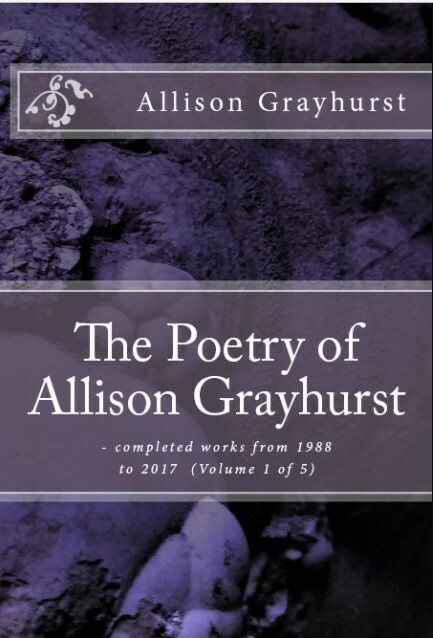 The Poetry of Allison Grayhurst – Collections from 1988 to 2017 (Volume 6) was also published in 2017. 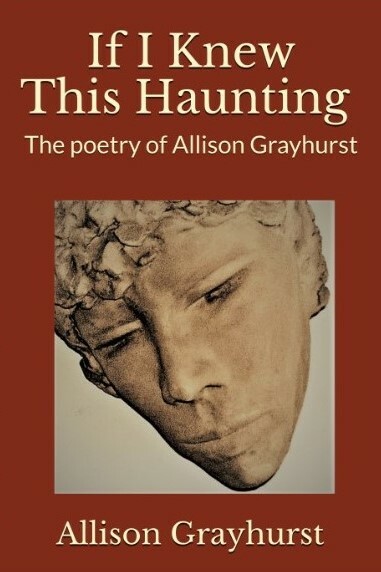 The Sculptures of Allison Grayhurst was published in 2018. Animal Culture (rules of commitment) was published in 2018. 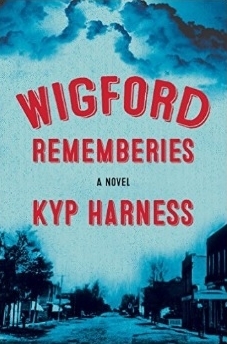 If I Knew This Haunting to be published in 2019. 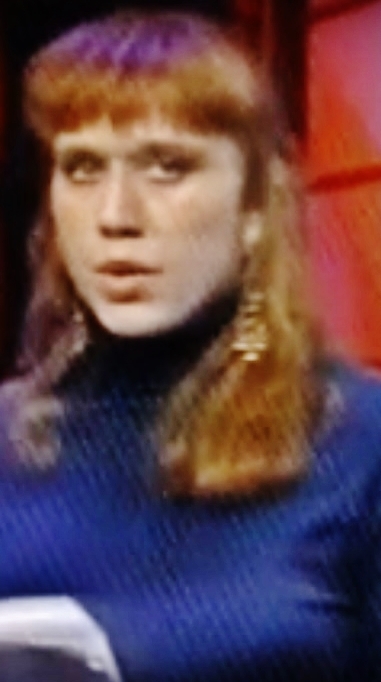 (Please note, only previously published poems are posted on this website). 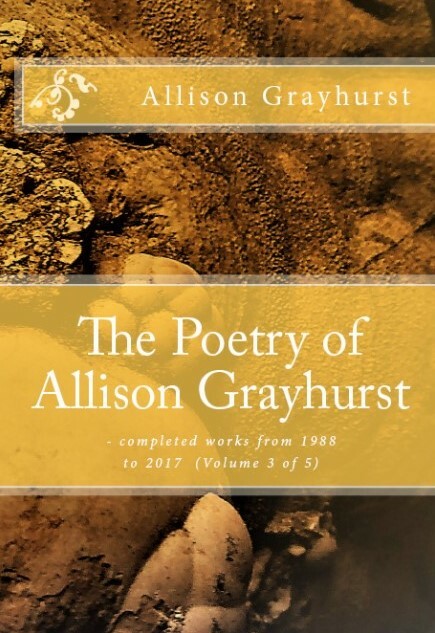 Over 1200 published poems are available to read on this website. All of these poems are accompanied by my audio reading of the poem. The SCULPTURES of ELIZABETH FRASER WILLIAMSON (27 minutes)This 27 minute film shows a wide selection of Elizabeth’s work. 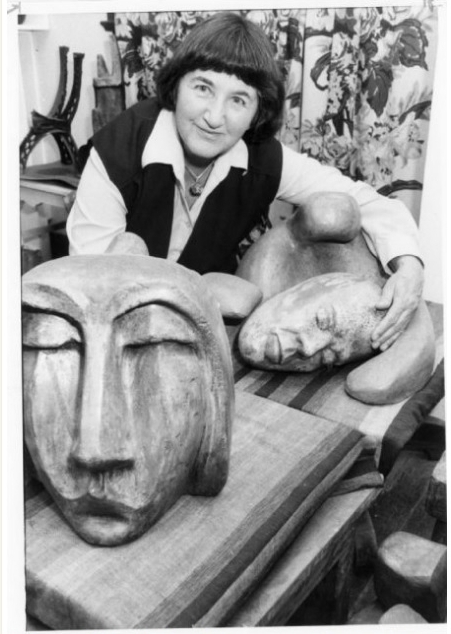 It features her sculptures in clay, wood, concrete and stone. Brilliantly filmed in-the-round, the sculptures are shown in exquisite detail, revealing their profound aesthetic quality and the masterful technique of this outstanding Canadian sculptor. PATHWAY FROM WITHIN (20 minutes)At first glance, this film appears to be about how one of Canada’s foremost sculptors works in stone, concrete and clay. 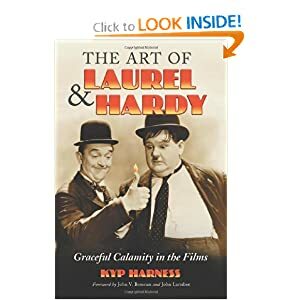 But it imparts much more than that; it allows the viewer an unique opportunity to share that which is most elusive in art – that moment of inspiration emanating from the wellspring of creativity. Review: “Intuitive rhythms dominate the sculpture of Elizabeth Fraser Williamson…she never loses touch with the essential soul of the subject.” – Gerry Moses, Art Critic. Writers/poets/philosophers/musicians/artists/people who have inspired me: Rainer Maria Rilke, Dostoyevsky, Kierkegaard, Dylan Thomas, Theodore Roethke, Sylvia Plath, James Baldwin, Elizabeth Barrett Browning, Thomas Hardy, Kyp Harness, Van Morrison, Pablo Neruda, Nietzsche, Mozart’s The Requim, Yoko Ono, Rodin, Taylor Jane Green,Van Gough, Elizabeth Fraser Williamson, Jane Goodall, Kate Bush. books-Camera Lucida, The Penal Colony, In the Cave you live in, The Archology of Knowledge, Being in Time, A wrinkle in time. I’m sure you did not get close to naming all. until I got sick, full blown vegan! Pleasure to meet you. I look forward to reading more from you. Wow. I’m not so conceited as to think I was the only one to believe this way, but thank you for laying it out plainly. It’s good to feel a little less alone.